This message contains updates from the Office of Early Learning & School Readiness Curriculum & Assessment Team about the Early Learning Assessment (ELA). The ELA Reporting window has been extended until March 1 for all programs who report their data into EMIS. 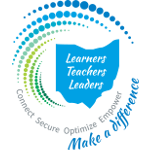 If your district or program had a small or inconsistent amount of data compared to previous data collections, we suggest running the ELA Learning Progression (LP) report again and resubmitting your data to EMIS. Directions for running the LP Report can be found here. If you need assistance with retrieving data from KReady for submission, please contact Ohio K12 Help at 1-844-512-6446 or www.ohio-k12.help. If you have any questions or concerns, please feel free to contact us. Thank you!